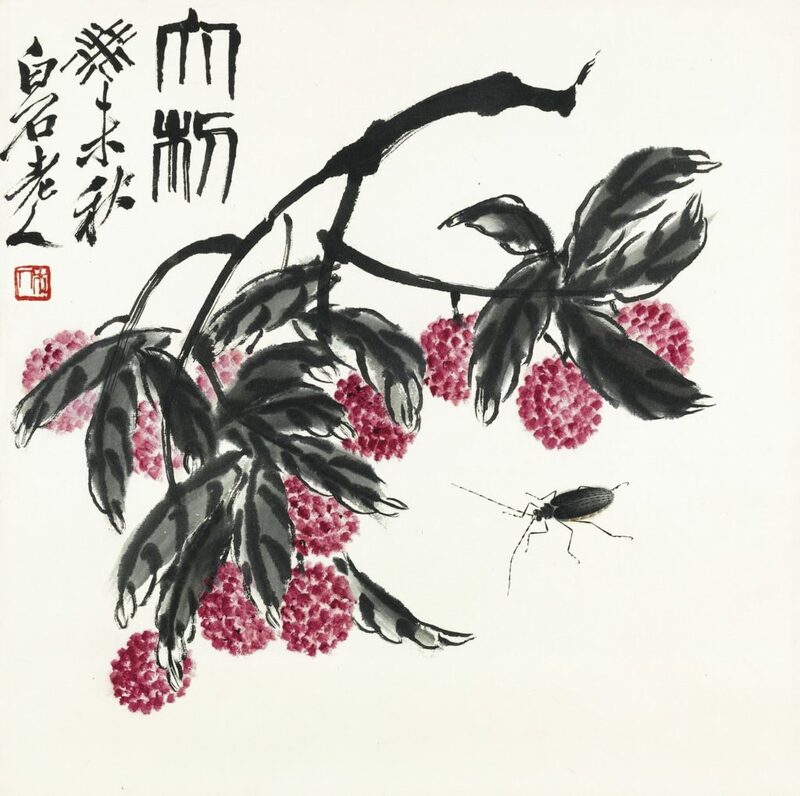 Qi Baishi, is probably the most unlikely person to become one of the highest valued artists in the world, right next to Andy Warhol and Picasso, but he is. 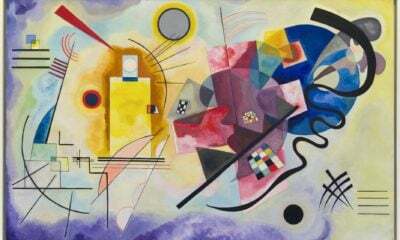 It’s been sixty-one years since his death in 1957 at the age of ninety-three and in 2017 his, Twelve Landscape Screens, painted in 1925, brought in $141 million at an auction in Beijing. It’s very unlikely he could have imagined such a thing when he began to paint in his teens at the end of the nineteenth century in Xiangtan, Hunan Province, China. This is where he was born into a peasant farming family in 1864. Qi Baishi (1864-1957), Twelve Landscape Screens, colored ink on silk. Location unknown. Farm work didn’t suit him physically or temperamentally. He was born an artist which he discovered after he read, The Mustard Seed Manual of Painting that made him realize what he was destined to do with his life. But first, he would establish himself and start a family. To make a living he apprenticed himself to a carpenter/woodcarver when he was fourteen and did painting on the side. He followed his heart and in 1881 at age nineteen, Qi Baishi married Chen Chunjun (1863-1940) who gave him five beautiful children. 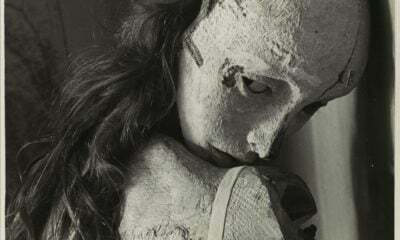 In his twenties, he found artistic mentors who gave him important practical instruction in whatever he needed to learn. In 1888 he studied painting with Xiao Xianghai the finest portrait artist in Xiangtan. 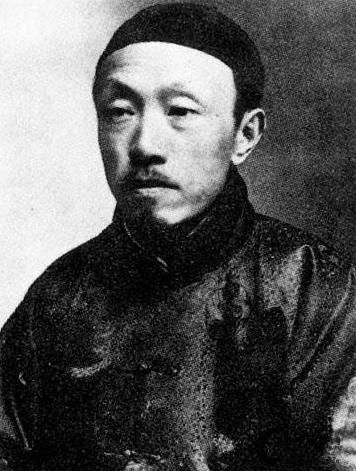 Chen Shaofan, a teacher of literature, taught Qi how to write poetry. Tu Pan, showed him all about landscape painting. 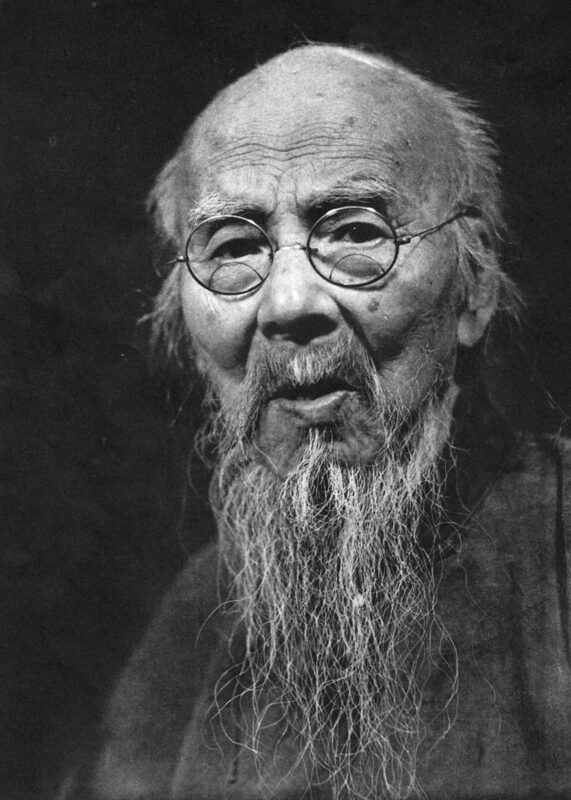 In 1894, when he was thirty, his talent attracted the attention of Hu Qinyuan a wealthy sponsor who enabled Qi Baishi to study classical poetry and painting. 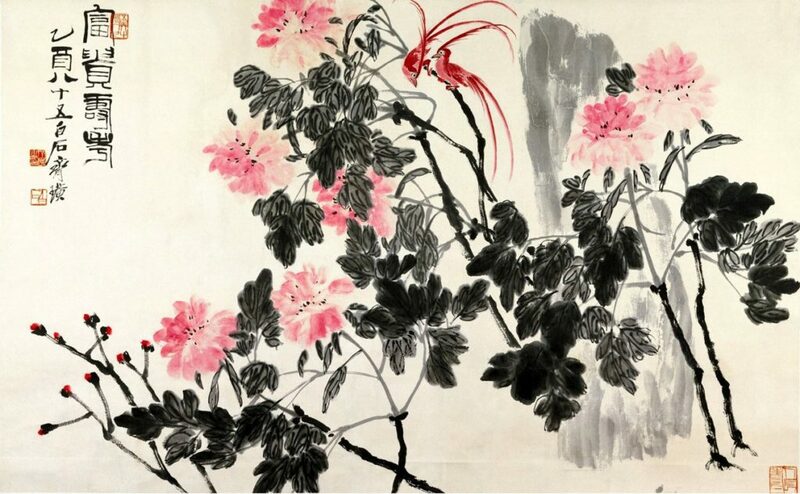 Qi Baishi learned fundamentals of the gongbi mode, featuring fine brushwork and meticulous detail. Under Hu Qinyuan and Tu Pan, he gave up carpentry and focused all his efforts on painting. In 1899, age 35, Qi became a student of Wang Xiangyi, one of the most influential scholars of the time. The help of these friends affected Qi’s whole life. They came from the mandarin class, held high opinions of themselves and were rather self-conceited. They gave him guidance in learning, manners and art and carved a course stone into a rare jade. They made an ingenious contribution to his success. In 1902, at 38, he leaves his hometown for Xi’an at the invitation of Xia Wuyi, where he works as a private tutor. Over the next five years, he makes his life as a traveller to many places in China, meeting other artists and viewing great works of Chinese art in private and public art collections. While viewing the private collection of Guo Baosun in Qinzhou, Guangxi, he saw paintings by Zhu Da (1625-1705) and Xu Wei (1521-1593) which made a strong impression on him. He quickly rejected his former style and started a new style in xieyi (sketching thoughts) mode. This means drawing the spirit of the subject spontaneously. It requires quick action but needs much experience to do it well. In 1911, in middle age, he meets Chen Shizeng, a painter and academic, in Beijing. One day Chen saw some carved seals in a store window and liked them. He asked about the artist and they soon became great friends. This became an important turning point in Qi’s life. Qi believed Chen was the only one who could appreciate his works at this time. 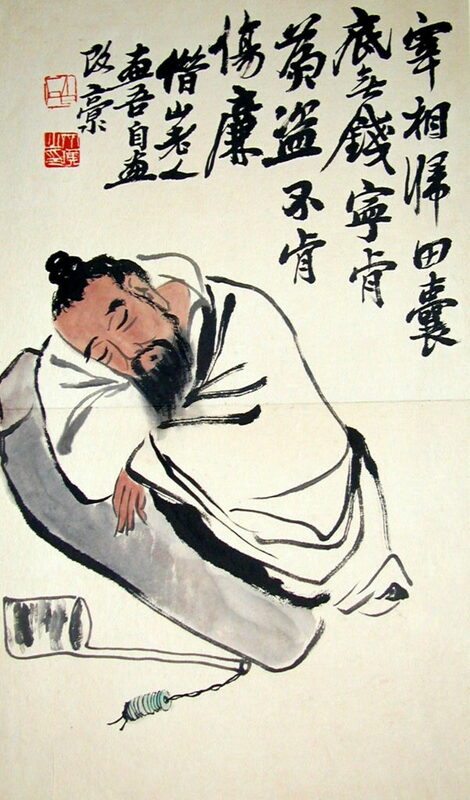 Qi Baishi refers to the famous seventeenth-century painter (1626-1705) Bada Sharen or Zhu Da. He was a child prodigy and very similar to Qi in many ways. He was a calligrapher, an ink wash painter and a poet. The connection with him must have been like being Bada’s reincarnation. There’s a great change in Qi’s life now. 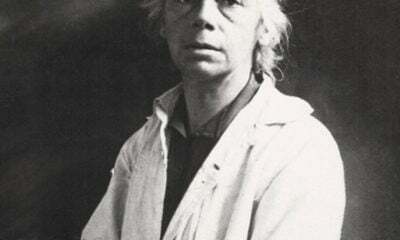 In 1917 he settles in Beijing where he and Chen begin to work together making paintings in a new style. 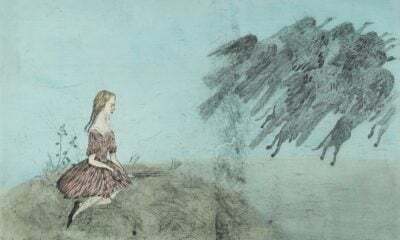 Artists in the conservative Beijing circles could hardly accept the radical free approach to flower, landscape, and figure painting by Chen and the painters of his school. Because of Qi’s humble origins and spotty education, he could easily be attacked by this conservative group, so he kept his head down. A hundred years from now, he said, a fair judgement will be made as to who is a better painter, who knows more about poetry, and who is the loftier one. At the same time Chen introduced Qi Baishi to a concubine, Hu Baozhu. This arrangement produced seven more beautiful children for Qi. He settles down to his life in Beijing for the rest of his long life of 93 years. 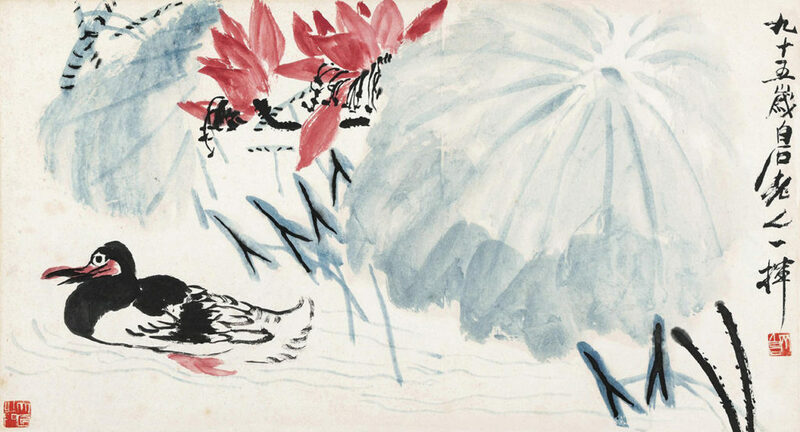 With his friend Chen’s help, he reinvigorates the traditional vein of modern Chinese painting which began with the Yangzhou School in the 18th century, further developed by Zhao Zhiqian (1829-1884) and Wu Changshi (1844-1927) both tied to the Shanghai School. These artists painted in bright colors and specialized in flowers and plants with symbolic meaning. Wu Changshi inspired Qi’s painting of wisteria and red plum blossoms and other flowers using bright colors. Then in 1922 Chen takes a number of Qi’s paintings to an art exhibition in Tokyo. 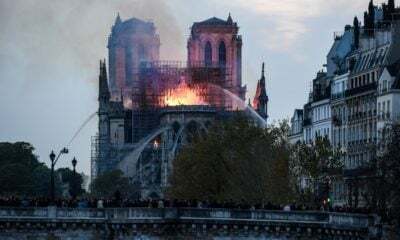 All his paintings sell and two are put in important museums in Paris. His international fame begins. His choice of subjects is wide and versatile. He’s a prolific painter of flowers, birds, insects, frogs, shrimp, fish and plants. In his sixties and seventies, he painted a number of landscapes but in a modern subjective manner. 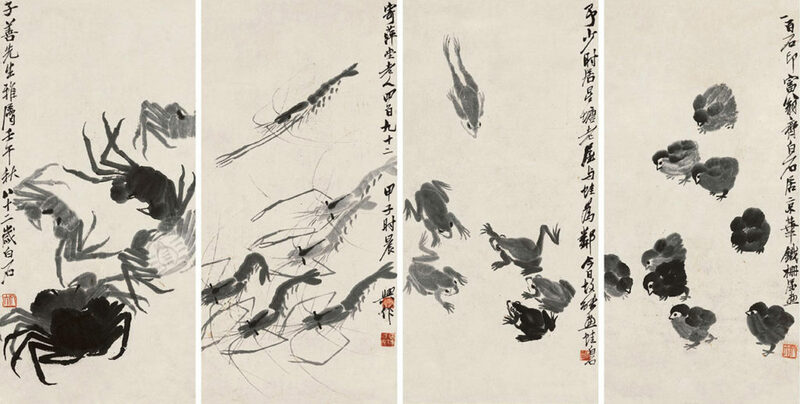 Qi Baishi didn’t try to imitate ancient masters. Instead, he depicted the places he remembered in a highly individual, unconventional style. In landscapes, I use my own brush technique, and paint my home. He paints what he thinks and experiences. One of his favorite sayings sums up his whole attitude to the act of painting and its purpose. If a painting has too much likeness to the subject, then it is pandering to the taste of the vulgar but if it lacks too much likeness it cheats the viewer of the familiar and lessens the meaning of the object. This is Qi’s guiding aesthetic. He tries to capture the true spirit of the subject as he experiences it through his poetic feelings. He’s a bit impressionistic, a bit abstract. I think of him as a gentle-hearted person, a kind of Bodhisattva who unites the whole world with peaceful folk images that have deep roots in Taoist philosophy. He chooses innocent creatures, flowers, and ordinary people as his favorite subjects. He shows the importance of ordinary small things to ordinary people with sympathetic kind hearts. This is his universal message and its why he’s so important; Chinese people do have this human quality Qi expresses so well. It’s the soul of the Chinese civilization. During his long life he slowly becomes master of his medium and produces about 15,000 paintings. He also carves many thousands of seals and many finely wrought wood-carvings and writes 3,000 poems. He publishes two books of poems and writes many journals about his life as an artist. Near the end of his life he is recognized internationally as a man of peace. He avoided political upheavals and stayed clear of making enemies. In 1952 he creates a huge painting named Hundreds of Flowers and Doves of Peace, dedicated to the Peace Committee of Asia and the Pacific Region. In 1953 when he is 89 he’s selected by the Ministry of Culture as the Outstanding Artist of the Chinese People. In 1954, Qi is selected as the representative of the Chinese people and attends the first National People’s Congress. 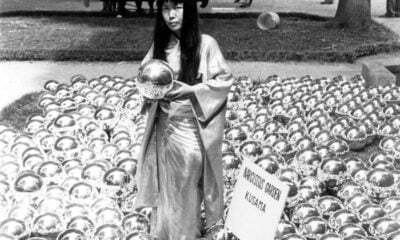 In July 1955, he paints the great work, Song of Peace, with Chen Banding, He Xiangning, and fourteen other artists that is dedicated to the World Peace Congress. 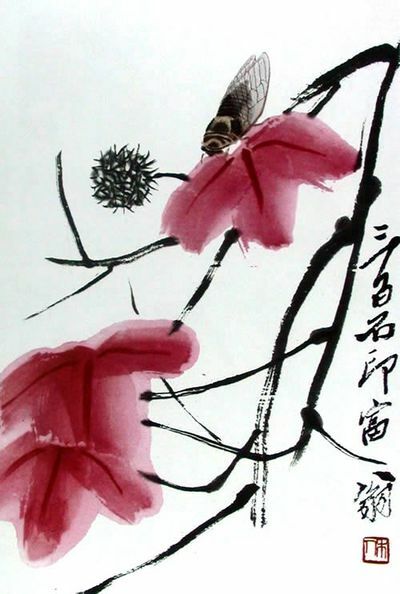 On April 27, 1956 Qi Baishi is awarded the World Peace Prize by the World Peace Council. In June he completes his final painting: Peony. On September 16, 1957 he dies in Beijing, age 93. 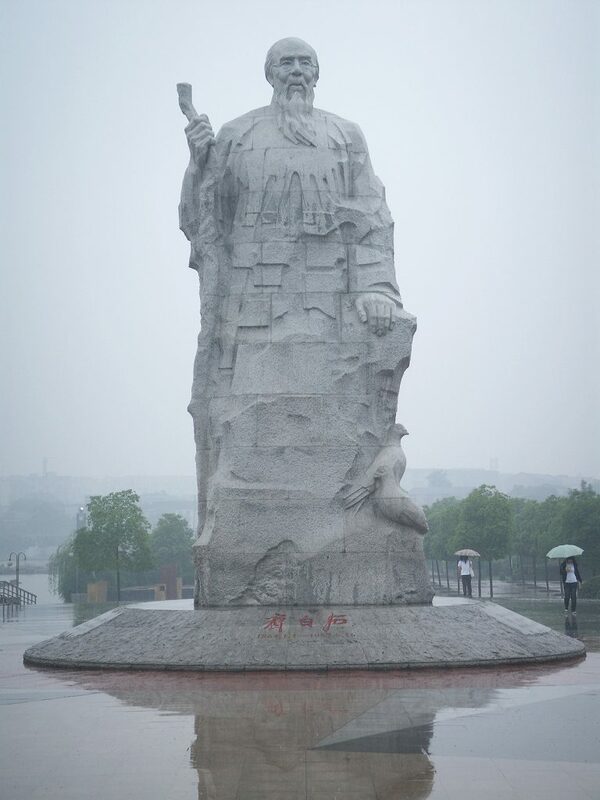 There’s a large statue of this towering giant of a human being in Baishi Park in his hometown Xiangtan. Many of his twelve children are artist and some of his grandchildren too. His beautiful paintings are in museums all around the world. In China he’s one of the ten most illustrious cultural celebrities. Everyone n China knows their beloved painter/poet who became a great master of the ordinary but in a very extraordinary way. Erikson, Britta et al. 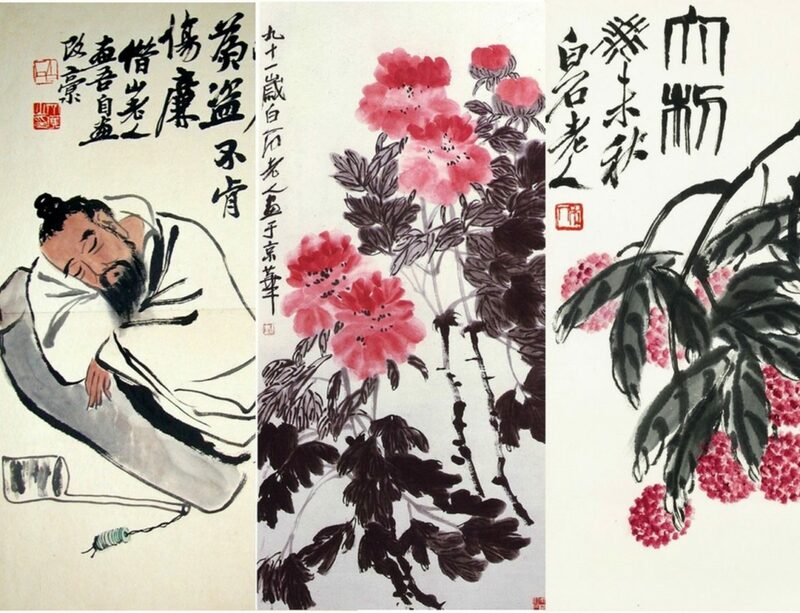 Modern Ink: The Art of Qi Baishi, Univ. of Hawaii Press, Hawaii, 2014. Zhiyuan Cong, Qi Baishi: The Soul of Chinese Painting, Commercial Printing, China, 2010. Olivova, Lucie, Qi Baishi and the Wenren Tradition, Asian and African Studies XV, 1 (2011) pp. 63-84. To read other articles by Barry Russell, click on the links below.